The University of Mississippi Medical Center in Jackson is seeking an attorney general’s opinion on whether the state’s Department of Archives and History has authority over the medical center’s ability to relocate unmarked graves on its own property. Officials with that agency say they can already answer that question — they don’t have any authority. The medical facility discovered the graves last year while it was building roads. Mississippi State University archaeology faculty and students working with an outside archaeology firm exhumed 66 sets of remains. Another 40 graves were located in the 1990s. After a survey with ground-penetrating radar, the medical center estimates at least another 932 graves remain, although the university said the number of unmarked graves is probably much greater. 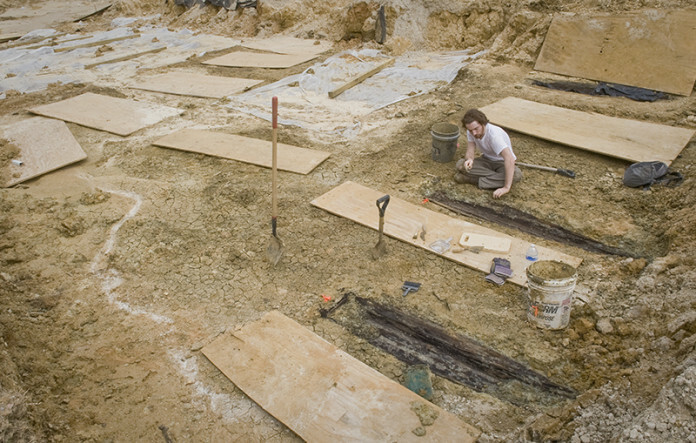 The graves likely are those of residents of the Mississippi State Insane Asylum, which was once located at the site. Spokesman Jack Mazurak said the university wants the future ability to remove the graves and develop the wooded land because its 164-acre campus is running out of space. Local laws passed in 1973 and 1974 give it the authority to “rearrange or disinter, remove and reinter human remains” to a different location. But the medical center wrote that the archaeologists it hired declared the unmarked cemetery as a location of “archaeological significance,” which could require a permit from the archives and history agency before relocation. Pam Lieb, chief archaeologist for the archives agency, said the medical center shouldn’t be worried. “The Department of Archives and History doesn’t have any jurisdiction over that anyway,” Lieb said, He said the agency can only block relocation of graves belonging to Native Americans or in rare instances of high historical significance. She said only approval from a county coroner is usually needed to move a cemetery. Lieb said the archives agency has recommended a less costly relocation approach that doesn’t involve using archaeologists. Previous articleWhat Can We Learn From Ancient Southwest’s Baby Boom?